Bailey decided to choose Luther because it felt right from the beginning. She loved Luther’s beautiful campus and small class sizes. “This made my college experience more personalized and meaningful,” she says. 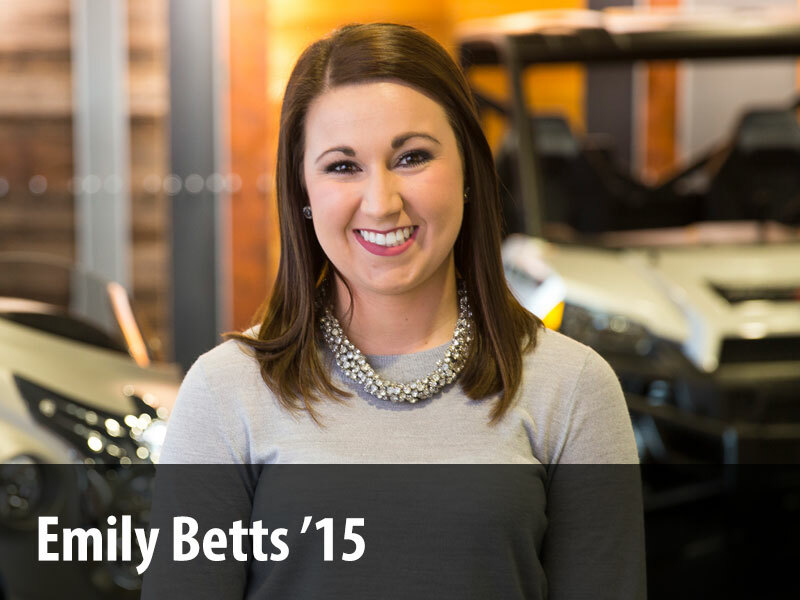 Bailey’s involvement at Luther shaped her into the person she is today. As an art major, Bailey was involved in a wide variety of extracurricular activities. For example, she joined Art Club and she served as a piano accompanist for voice students. Her advice for first-year students is to explore Decorah, study outside of the residence hall, and join a club. She believes these are the best ways to get to know new people and connect with them. Bailey also worked as a videographer in Luther’s Visual Media Office for four years. Through this experience she learned about equipment setup, how to use video-editing software, and conducted interviews. This training inspired her to pursue video content creation in her current job. In fact, her work-study training gave her many of the skills needed to pursue her current career path. Bailey used the breadth of her experiences to her advantage. She has worked in a variety of settings including leasing apartments in an artist loft, making mosaics for businesses in Decorah, working with other artists in downtown Minneapolis, creating video content for the American Craft Council, and making large scale mosaic commissions for her own art business. Currently, she is the marketing communications coordinator at the American Craft Council. “Each job I’ve had has shaped me into a stronger, smarter version of myself,” she says. Bailey’s experiences with faculty at Luther inspired her current projects, including mosaics and watercolor paintings. She’s used these skills in commissioned work for the Bank of America with Hennepin Theatre Trust, Art Partners, Minnesota Orchestra, Rubaiyat Restaurant, La Rana Bistro, Dragonfly Books, Hotel Winneshiek, and various private home installations. As a junior at Luther College, Bailey Cahlander was one of five student artists commissioned to create a unique piece of art for the Minnesota Orchestra. She was provided with a violin and chose to create a mosaic for the instrument. The violin was auctioned off at the 2010 Minnesota Orchestra annual Symphony Ball.